Stock up on last-minute deals with stackable Kohl's coupons. OK, procrastinators -- you still don’t have your holiday shopping finished, do you? Or worse yet, you haven’t even started! Luckily for you, Kohl’s is offering some stackable savings this weekend on your last-minute shopping excursions. And seriously, the gift-giving is taking place this week, so let’s hop to it! I think that Kohl’s is aware that a lot of mid-December shoppers are men (sorry, guys, but it’s true!) The store is highlighting $10 off $50 purchases from the jewelry, watches and accessories categories with code LASTMINGIFT from Dec. 17 through Christmas Eve. 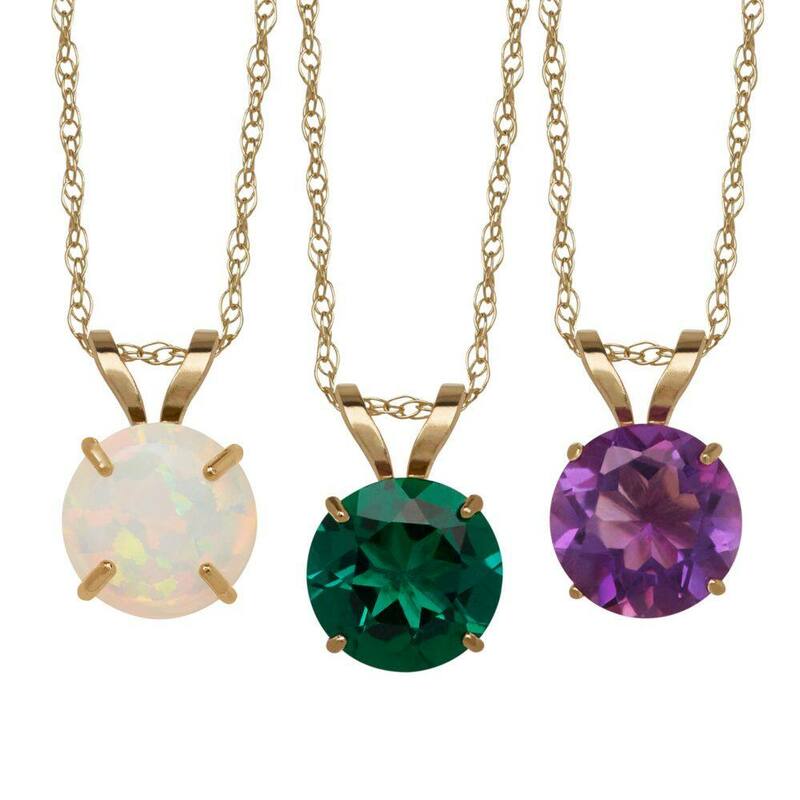 These Everlasting Gold gemstone pendant necklaces in 10k gold (originally priced at $125) are currently only $50 each. This is an easily personalized gift with amethyst, ruby, sapphire, opal, garnet and citrine options available. The price drops to just $40 with the coupon code above, and if you stack on an extra 15, 20 or 30 percent off across the store (depending on how much you spend and whether you're a Kohl's cardholder), the price is as little as $28. There are also matching stud earrings for these necklaces, and the garnet combination would make an excellent birthstone gift for upcoming January birthday girls. Plus, if you purchase $75 worth of Kohl’s Everlasting Gold jewelry, you’ll receive a bonus pair of gold ball studs for just $19.99. The earrings are valued at $75, and are currently priced at $30. which is pretty amazing. 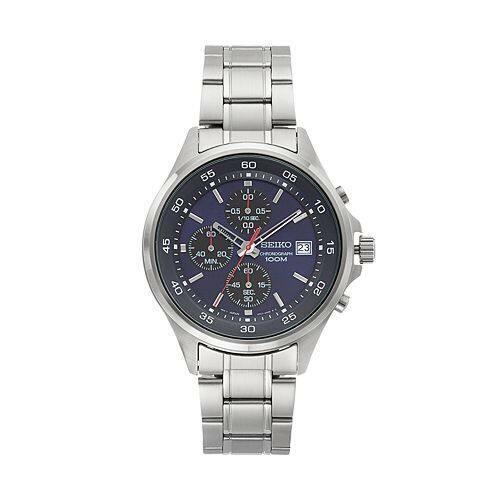 This Seiko Men's Stainless Steel Chronograph Watch was originally priced at $240... and is now only $99. If you take $10 off followed by the site-wide 30 percent off for cardholders, you're looking at a price of just over $62. Adding in extra Kohl's cash or YES2YOU rewards can bring the price down even further. Remember in "Working Girl" when we learned that if you want to be taken seriously, you need serious hair? That’s especially true around the holidays, when multiple get-togethers require a hairstyle that can withstand the combination of winter wind, heat styling and general stress. Kohl’s understands and is handing out free 1 oz. bottles of Eva NYC volumizing spray with any Eva NYC hair care purchase, but this deal only runs through Dec. 21. This Get Up and Go! travel kit is just $17 and contains shampoo, conditioner, an oil treatment and a hair mask. The volumizing spray is yours with the purchase, so your hair care needs are pretty much covered. Take an extra 30 percent off, and you're getting a five piece set for under $12. This is a great stocking stuffer gift for the girl who loves beauty products -- or it makes an affordable treat for yourself. In honor of Star Wars’ big opening week, the department store is also offering 10 percent off all of its "Star Wars" merchandise with the fitting coupon code THEFORCE. This promotion starts on Dec. 17 and runs through Dec. 19, so if you’re looking for a gift for a little Jedi (or your Jedi husband or Jedi self), this is the deal for you. 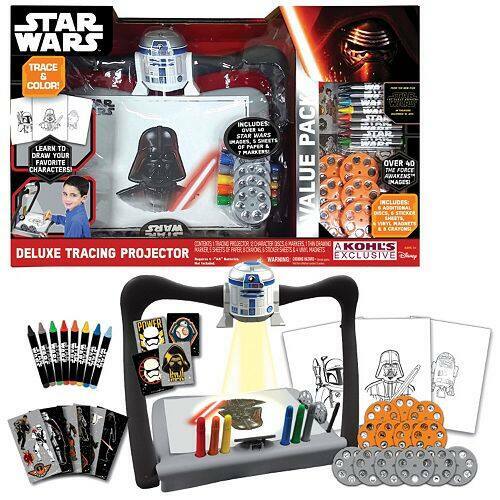 This Star Wars: Episode VII The Force Awakens Deluxe Tracing Projector kit is a top seller and is currently reduced to only $21.99. Stack that extra 10 percent off and site-wide coupons for an extra 15, 20 or 30 percent off, and you're getting a $54.99 collection for as low as $13.85. If you have Kohl's cash or YES2YOU rewards, even better! As Slickdealers already know, the weekly deals at Kohl’s don’t stop with the listed price. Kohl’s is one of the few stores that lets you stack multiple coupons (four, to be exact) in order to save even more. From Dec. 17 through Dec. 24, you can take an extra 15 percent off site-wide with code SNOWFLAKE15, or 20 percent off orders more than $100 with code SNOWFLAKE20. If you’re a cardholder, hold on to your winter hats, because you’ll receive 30 percent off with the promo code PRESENTS30. There is a trick to stacking coupons at Kohl's though. You have to stack them in the right order, which is hard to do when you’re excited and working on a strict holiday deadline. You’ll want to start with the category-specific coupon codes. These can be percentage-based savings or dollar amounts, but they have to be geared toward a certain type of product (like the $10 off $50 code above that’s good on jewelry, watches and accessories). Next, you can add any Kohl’s cash, YES2YOU rewards and any coupon codes that take dollar amounts off your entire purchase. Finally, you can enter any site-wide percentage-off coupon codes, like the SNOWFLAKE and PRESENTS ones listed above. The store is also offering free shipping on orders more than $50 through Dec. 27, or you can visit an in-store kiosk to send your holiday gifts with no shipping costs. Keep in mind that Dec. 20 is the last day you can place an order and receive it by Christmas, so don’t mull over your purchases for too long. Fortunately, with Kohl’s stackable savings, it’s a pretty savvy time to snag a great deal. 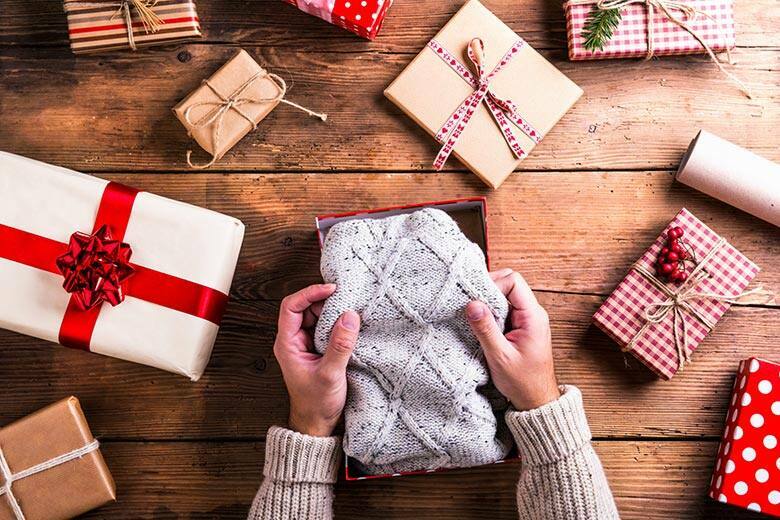 These Kohl's promotions are sure to make your last-minute shopping a breeze. Be sure to share your best procrastination-related deal discoveries with all of us in the comments section below.